Is your skin telling you about your risk for dementia? You've heard the expression "when it rains, it pours." Unfortunately, this adage certainly seems to hold true in older adults with certain health conditions. Many people in nursing homes suffer from dementia, which leaves them bedridden. Being stuck in bed often results in bed sores. But there's more to these pressure sores than meets the eye. Dr. Ephraim Jaul, who directs the complex nursing department in the geriatric-psychiatric hospital at Jerusalem's Herzog Medical Center, was the first to recognize the connection between dementia and pressure sores. He noticed that many of his Alzheimer's patients were developing pressure sores and decided to investigate his hunch that the two conditions were related. Sure enough, 67% of his geriatric patients who were suffering from pressure sores also had dementia. And just 23% of his patients without pressure sores had dementia. Since discovering this link, he's published three studies on the topic in the International Wound Journal. Dr. Jaul believes that the reason for the link is that the changes that occur in the brain that lead to dementia also occur in the rest of the body, making skin tissue more vulnerable to pressure ulcers. The good news is that understanding this link means that caregivers can take preventative measures with their dementia patients, even those with mild dementia, to help them avoid developing pressure sores. It also means that researchers may be able to study the skin to determine whether a patient is at risk of developing dementia or what stage the dementia has reached. While a skin test to determine this isn't yet available, it will have great potential in helping doctors assess the level of cognitive decline in their patients and take steps to intervene, even from an early stage. In the meantime, you may be able to protect both your cognitive function and the rest of your body with a product such as Advanced Memory Formula. It contains nine different nutrients that support mental performance and protect the health of your brain as you age. 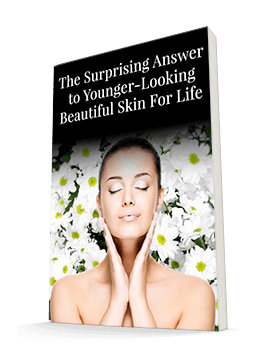 What's more, many of the ingredients in this formula, such as ginkgo biloba, phosphatidylserine, acetyl l-carnitine, and others, are great for your skin too.